by William Mahaney, 2002, Oxford University Press, Oxford, 237 pp. This volume reviews the microtextural literature of the last 25 years since the publication of Sand Grain Surface Textures by D.H. Krinsley and J. Doornkamp, in 1973, which inaugurated the use of the SEM in sedimentology. For over four decades, the SEM has proved itself to be the instrument of choice in the analysis of microstructures, whether they be mineral collages or intergrowths, whole grain or partial grain microfeatures including microtextures, dissolution characteristics and/or precipitates coatings of various thicknesses and compositions. Its high-resolution stereo imagery, coupled with energy dispersive spectrometry, provides a level of compositional analysis that far exceeds the traditional light microscope. With magnifications from 25 to 100,000X, virtually the surface of any molecular structure can be seen and studied from microphotographs or electronic imagery together with printouts from an interlinked energy dispersive spectrometer (EDS). 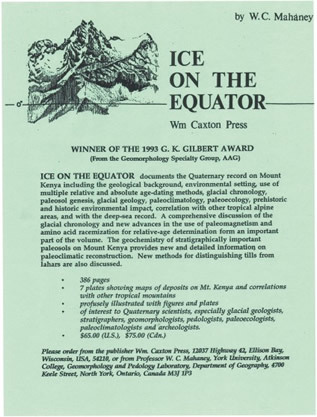 Offering an expanded list of microtextures, new interpretations of them and an assessment of how they may be used to discriminate sedimentary environments, this volume builds on the original “Atlas” and the work of practitioners worldwide. 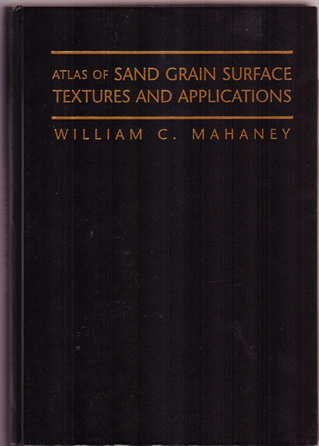 Including engineering tests designed to reproduce “glacial grains” under controlled conditions in the laboratory, new information on microtextures of heavy minerals, applications in the earth, forensic, archaeologic, and nutrition sciences, together with the use of the SE mode of the SEM, this book is a state-of-the-art presentation of where sand grain microfeature analysis lies at present and where it intends to go in the future.